Saturday’s Newbury card features the valuable Betfair Hurdle, one of the most competitive races on the National Hunt calendar. The race has previously been won by horses good enough to compete in the Champion Hurdle at Cheltenham in March and it has attracted another strong field this year. The two horses that the punters have been most interested in are Irish Saint and Dell’ Arca. Irish Saint jumped to the head of the betting market after winning at Ascot in heavy ground by eleven lengths. That was a huge improvement on his previous efforts this season and he will have similar ground to race on this weekend. The handicapper has reassessed him on a 12lbs higher mark but, due to the conditions of the race, he carries only a 5lbs penalty on Saturday. Noel Fehily keeps the ride for trainer Paul Nicholls who also saddles Far West. He was a useful juvenile hurdler last season and the booking of 5lb claimer Harry Derham gives him a decent chance at the weights. 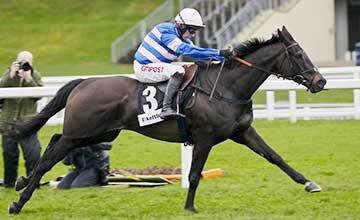 David Pipe’s Dell’ Arca won the Greatwood Hurdle at Cheltenham on his first run for his new yard. He was fancied to follow up in the Ladbroke Hurdle at Ascot but unseated his rider three from home when just closing on the leaders. He races off the same mark here and has been the subject of solid each-way support. Irish Saint is just preferred at 6-1 with Bet365. Nicky Henderson’s Rolling Star has now risen to the top of the handicap with 11st 12lb as he bids to follow his 2013 victory with My Tent Or Yours. The stable report the horse to have been working exceptionally well recently but it is going to take something special to win with such a welter burden. Henderson also has each-way claims with the consistent Vasco du Ronceray and Gibb River. Champion jockey Tony McCoy is an eye-catching booking for the latter who has been running over longer distances. Philip Hobbs has a leading candidate in 2011 Champion Bumper winner Cheltenian. He has struggled with injury in recent seasons but looked on good terms with himself when winning easily at Uttoxeter on New Year’s Day. David Pipe has a useful second-string in Swing Bowler who was third in this race last year. She then finished unplaced at the Cheltenham festival behind Quevega but did not stay the trip that day. Back to two miles, she will be a threat if fit enough to do herself justice first time out. Alan King also has two runners in Vendor and Montbazon. The Lanarkshire-born trainer is keen on the chances of Vendor despite an 8lbs rise in the handicap for his win at Newbury in November. That was over two and a half miles but the heavy ground could make this a searching test and the grey will be staying on when others have cried enough. Montbazon is a classy performer who still holds an entry in the Champion Hurdle. He has not raced for nearly two years so connections would be delighted if he could finish in the first four. Ireland’s only runner is Smashing, trained by Willie Mullins. He is on a hat-trick but is difficult to assess and Brian Ellison’s Totalize could be a bigger threat after finishing second at Cheltenham last month.